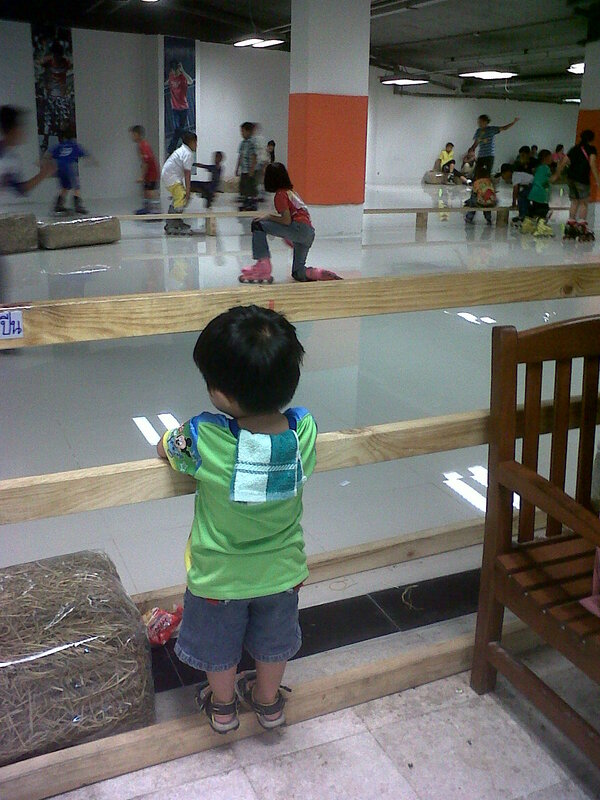 When Jaden saw the kids playing roller skates he wants to play to... He was so envious watching the kids enjoy playing. He understood that it's not yet time for him to play skating. I'm not sure if he can play skate at 3 years old. We'll see next year if he's ready to play... I believe he will really enjoy it.